Wednesday 3.25- Spring Individual and Class Pictures- don't forget to order! We are in need of volunteers for our Water Festival! Students will learn about water as a natural resource in interactive, engaging ways. We need help running stations and helping students rotate groups. All volunteers will be provided any materials and information necessary to run their station prior to the Water Festival. Please sign up here: http://www.signupgenius.com/go/60b0d4cada929a64-earth. Thank you! The International Festival is approaching! Every year the PTA hosts the International Festival for ALL students, staff, parents, siblings, family and friends to attend. The festival is a great opportunity to see the community of the school come together in an end of the year celebration. There is no cost to attend. The activities, games and food do require the purchase of tickets. There are student performances led by Senora Trujillo and Mrs. Geraldi. Every student will participate in a short performance during the festival. There are many opportunities to learn about other countries at the country booths, where students can earn a free homework pass. There will be food with ethnic flair, games, photo booth and even an International cake walk! It is truly an experience you don't want to miss! Great news! 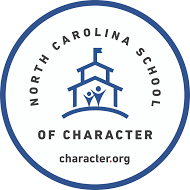 Brooks Global has been recognized as a North Carolina State School of Character, one of only three in the state! In the lengthy application, we described how we incorporate character education, service learning, and global studies into the core curriculum. Our Water Project is a perfect example of this. Brooks is now being considered for National School of Character recognition, and we will have a visit on March 30. Congratulations to the entire Brooks community! This is support of our very own Josh Wainscott's mother. He is in Mrs. Carter's class. He will be selling bracelets for $1 to make a donation to Wake Forest Baptist Medical Center. Please see Josh or Mrs. Field with your bracelet money. And let's all participate in the walk or come out to support. Please come out for the 1st Annual Greensboro Brain Tumor 5k Run/Walk at Bryan Park on March 28th! You can register on http://www.precisiontimingsystems.com/. Carton 2 Garden is a program sponsored by Evergreen Packaging with support from KidsGardening.org that gives students the opportunity to repurpose milk and juice cartons from the school cafeteria to either build or enhance their school's garden. Educators can engage students in a hands-on experience creating teachable moments on environmental stewardship, sustainable packaging, and healthy living. The best use of cartons in their school garden gives the school the chance to win a prize valued up to $2,500 for building or enhancing its garden. You can start bringing your cleaned empty cartons (Any size -Allow the carton to dry for 2+ days in open air to prevent mold and mildew) when you drop off or pick up your students whenever you have them or send them in with your students. There will be containers by the school main entrance and the cafeteria area designated for the cartons. Your students are welcome to decorate them or write their names on the cartons. We will start the seedling process in March, please feel free to start your own at home, and bring them to school in early April. We will need volunteers to help with different aspects of gardening in our Brooks School Garden. If you are interested, please feel free to contact Ms. Langer langerj@gcsnc.com or Sharon Guerrero at swguerrero@gmail.com for more information. A Special Thanks to our Sponsors for the 2014/2015 School Year!! If you would like to become a sponsor click here!